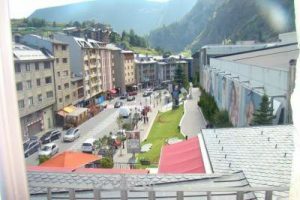 Canillo is one of the parishes of Andorra. It is also the name of the main town of the parish. Canillo has a gondola link to the main ski resort of Grandvalira. Avenida Sant Joan de Caselles, s/n, Accommodation. 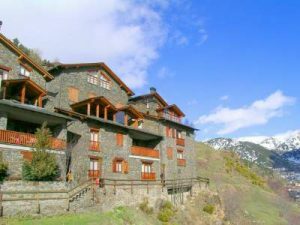 With a spectacular mountain setting in the pretty town of Canillo, the resort offers well-equipped apartment accommodation, right in front of the ski slopes. More Accommodation Each apartment has a comfortable living area. The kitchen has a fridge and a washing machine. Towels and sheets are provided, and cleaning is included. The reception offers currency exchange and a ticket service. 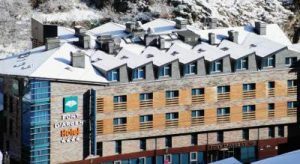 Just 50 metres from the Grandvalira cable car, in the centre of Canillo, this hotel with free Wi-Fi and private spa is a 2 minute walk to the Palau de Gel dAndorra ice rink. Keep fit at the gym, and make use of the ski lockers to store your skis. After a long day on the slopes, come back to the hotel for a relaxing dip in the sauna. In addition, there is an outdoor pool and garden areas for the summer months, where you can relax while contemplating the spectacular Pyrenees. 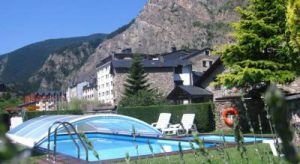 This is the ideal spot to relax and enjoy the splendid mountain countryside, and is also just 10 minutes from the centre of Andorra la Vella and the Caldea spa center. Friendly, co operative staff, good position,good facilities, loved the bath & plenty of hot water, comfortable bed and quality linen, well equipped kitchen. Church of San Joan de Caselles. 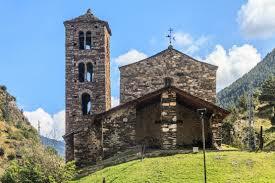 One of the parishes of Andorra. Canilo is also the name of the main town of the parish. Canilo has a gondola link to the main ski resort of Grandvalira. Other localities include Soldeu, Bordes d’Envalira, El Tarter, Sant Pere, Ransol, Els Plans, El Vilar, l’Armiana, l’Aldosa, El Forn, Incles, Prats, Meritxell and Molleres. Take A Break Holidays takeabreakholiday, Canillo Accommodation.